Another installment of the popular racing game series, developed by Ghost Games in cooperation with Electronic Arts. Need for Speed: Payback for PC / Windows is another installment of the Need for Speed series published by Electronic Arts. The game has been created by Ghost Games, who were also responsible for the two previous installments – 2013’s Need for Speed Rivals and 2015’s Need for Speed. The developers, however, have much bigger experience in creating racing games, since the studio is mostly comprised of game developers formerly working for Criterion – a studio best known for the Burnout series. An important thing about Payback is that the game has been created in cooperation with the video gaming society, the same way as it has been with the previous Need for Speed installment. In Need for Speed: Payback, one gets to learn about the adventures of three characters – Tyler, Mac and Jess. Previously, their crew had a fourth member, who betrayed the rest and took everything away from them. In order to take their revenge, the crew has to face the Familia cartel, which has connections nearly everywhere, including the police force. This means, that the three betrayed friends can count only on themselves. The PC, PS4 and XONE release of Need for Speed: Payback is an arcade racing game – same as the previous Need for Speed installments. The action of the game takes place in the open-structured city of Fortune Valley with the day and night cycle. In the game, players participate in various races divided into several main categories. One of the biggest attractions featured by Payback is the presence of police chases, which occurred in somewhat different forms in many Need for Speed games. Apart from these pursuits, the game offers time challenges, racing other drivers, stunt competitions and car battles. Surprisingly, Need for Speed: Payback also features off-road races. The game delivers a wide range of licensed cars, divided into five main types: race, drift, off-road, drag and runner. As their names suggest, these cars were designed for different kinds of races, thus e.g. the off-road car is not a very good choice for a drift competition. It is no surprise that the developers included the option to modify the cars in terms of their appearance and performance. Moreover, the game offers the option to customize abandoned car wrecks, eventually even turning them into supercars. What is interesting, in Need for Speed: Payback the three protagonists have unique skills, which affect the vehicle handling dynamics. 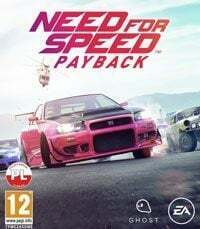 Need for Speed: Payback has been released on 10 November 2017, however some players could access the game earlier – EA Access and Origin Access users could buy the game on 2 November, while players who decided to purchase the Deluxe Edition could access the game within 3 days before the official premiere. The Deluxe Edition also came with the Platinum Car Pack featuring 2008’s Nissan 350Z and 2016’s Ford F-150 Raptor.